You’re all ready for the interview: qualified, geared up, pumped! But the trouble is, you’re nervous. You feel the echo of every footstep down the hall. Your palms are sweaty. Your lungs are thick. You’re on the verge of freaking out. No matter how prepared you are or how perfect a fit you’d be for the position, you don’t want to let your nerves ruin your chances or your first impression. Here are a few ways you can combat the jitters and walk in there cool as a cucumber. The more preparation and practice you’ve got under your belt, the easier it will be to let the preparation supersede your nerves. Do your homework. Research the company, the supervisor, and the position. 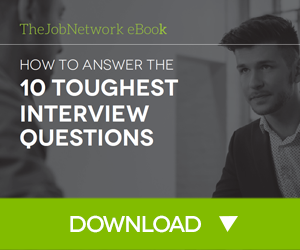 Have answers down cold for common interview questions. 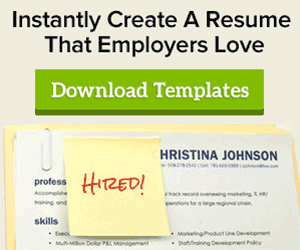 Have questions ready to ask your interviewer at the end. Trust your preparation and the process, stay focused, and let that carry you through. Pick out your outfit, try it on in advance, and get someone to do a dress rehearsal of your interview: asking you common questions, drilling you on your answers, etc. Try to treat it like the real thing. Also try a dry-run of getting yourself to your interview location a day or two before. Map out your route, time your transport, etc. Make sure you get there unflustered and on time. 3. Don’t be afraid to laugh. There is literally no rule that says you can’t laugh in an interview. In fact, laughter is sometimes the best medicine—and certainly a great way to release some of your pent-up nerves. Remember, when you laugh, your body releases a ton of endorphins. So you’ll feel super happy instead of super nauseous with nerves. 4. Get sleep and exercise. There’s no preparation half as good as a good night’s sleep. Stay off the booze the night before, make healthy food choices. Rest up, eat a decent, balanced breakfast, and try to get some exercise. This will also release endorphins, plus give you that extra smug and healthy glow. Picture yourself emerging from the office having aced the interview. Go in there with a positive attitude and imagining yourself in your best light. You’ll be surprised at how much of a difference this sort of mind trick can make. 6. Watch your pace and body language. Assume your power poses. Don’t slump or cross your limbs. Make good eye contact, give a great handshake, etc. And try to keep your answers measured; don’t rush through. Don’t forget to breathe and take time to listen. Listen to some music that soothes or powers you up—whatever it takes to get rid of your nerves and give you a little boost of what you need before you walk into the interview, refreshed and ready. Don’t try to be too formal, or too informal. Remember, you want them to hire you, not some dressed-up fancy version of who you think they want. Answer questions in your own voice. Be honest if you’re nervous. Turn it to your advantage—you’re just so jazzed about the opportunity to work with this company!